Eric Hathaway, VP of Marketing at Zoot Enterprises, Inc., has 20+ years of global executive level experience in financial services, technology and telecommunications for companies including Credit Suisse, Standard & Poor's, Microsoft, and T-Mobile. He has spoken throughout Asia, Europe, and the United States on topics ranging from Regulation in Emerging Markets to Fraud and the Customer Experience. Eric is passionate about strategic marketing, navigating the waves of an ever-changing digital landscape, creating customer-driven cultures, and incessant innovation. Eric received the Gold Stevie Award for Marketing Executive of the Year in The 2018 American Business Awards. He is also the host of the award-winning podcast “The Finance Frontier” – exploring the leading, bleeding and reeling edges of the financial world. Megan Armstrong Wold is founder and president of Armstrong Marketing Solutions in Bozeman, Montana. Founded in 2012, AMS is a branding and marketing agency that helps businesses define and differentiate themselves so they can better connect with their existing and potential customers in authentic ways. AMS is committed to helping members of the business community by promoting business growth, providing business resources and coaching start-ups. Gina Cuff is a marketing executive with over 20 years of experience in digital business transformation. Her expertise is in website development, agile methodology, ecommerce, paid media, SEO, social media, loyalty programs, CRM, customer journey mapping, direct marketing, and product management. Gina has a reputation for building and managing highly effective teams and fostering a collaborative environment and excels in maximizing rapid growth for high-potential businesses. She has a BA and MBA from the University of Washington. Kirsty Dyson is a senior executive with background across commercial transformation and automation, Information technology as well as customer marketing and sales. She has expereince in both retail, commercial and IT environments with numerous leading CPG companies. She has worked for Mars, adidas, Marks and Spencer and Diageo; focusing on the drinks industry for the past 20 years both as both a supplier (in Diageo) and a Distributor (current role). She is an expert in process transformation and led the process and technology change at Diageo in the commercial function. She has worked across the globe in South America , Africa and the Far East. She moved to the USA with her family in 2015 and is currently residing in Florida. Senior Computer Scientist at Adobe. Part of many iconic software products from Photoshop and Illustrator to Adobe Capture. Creator of award winning augmented reality mobile apps from the IxDA Interaction Design award to the FWA App of the day. An industry veteran with 10 years working on all platforms from desktop, frontend, backend and mobile. Read all about him at https://atishay.me. A returning judge, who has judged multiple Stevies as well as other industry leading awards, Mayank is a well known industry thought leader and trusted adviser to the Energy, Commodities and Financial Services industries, specifically in the area of Trading & Risk Management systems. His vast experience in markets across North America, Europe and Asia enables him to provide deep insights to senior industry leaders, based on hands-on experience. A veteran communications professional with more than 18 years of experience, Kelly O'Dwyer-Manuel currently leads the internal communications and public and analyst relations program at TITUS. Lead Principal software engineer with Yahoo! over 15+ years of experience in building software, marketing campaigns and web development. Vishal is also leading team of talented software engineers, service engineers, animators and producers. Physician and Health-IT Consultant. Expert in envisioning, innovating and leading the health-IT products and projects that address the needs of the patients, providers and payer industries . Cheryl Ragland is responsible for worldwide marketing at Infovista, executing on the company’s global mission and vision. Before joining Infovista, Ragland was the global vice president of corporate marketing at BroadSoft, overseeing all global marketing functions. Prior to that, Ragland was at Avaya where she oversaw strategic marketing for the government solutions group. Arpan Sheth is a detail-oriented software development manager with experience building systems supporting millions of users. At Twitter, he leads engineering teams that build user-facing ad products that help Twitter generate hundreds of million dollars in revenue. Arpan likes to forge strong stakeholder relationships and lead, motivate, and influence his teams to deliver high-quality software products. He has deep experience in building consumer software products from scratch and scaling it to millions of users. Before Twitter, Arpan was a Director of Engineering at Saavn for 7 years. His work helped Saavn scale from 200,000 users to almost 75+ million users, and he led efforts to build secure and scalable APIs, subscription systems, web presence across desktop and mobile platforms, voice-enabled device integration with Google Home, Sonos and Amazon Alexa, Programatic Ad Systems to manage the full ad campaign life cycle, etc. Saavn was acquired by Indian Telco Jio. 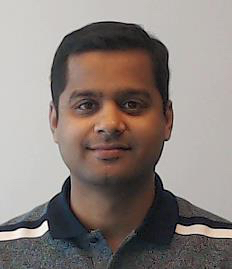 Arpan has a Masters degree in Information Management from University of Washington and holds an undergraduate degree in Computer Science and Engineering. Arpan lives in the Silicon Valley with his wife and daughter. He loves spending time with his family, cooking interesting food, and learning new technologies. 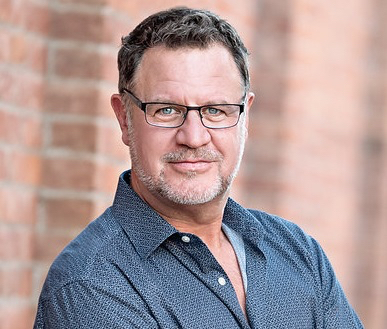 Keith Stoeckeler is VP/GD of Digital at MKTG since 2016. Prior to MKTG, Mr. Stoeckeler held positions at CDM New York, Fleishman-Hillard New York, Publicis New York, and Carmichael Lynch in Minneapolis. 2019 is his 14th year in the industry. You can find him on Twitter at @keiths. Roman Vynogradnyi is an award-winning designer with 12 years of experience in Branding, Advertising, and UI/UX Design. He has had the pleasure of working for such world-known companies such as Philips, Cisco, Samsung, LG, Volkswagen, Nescafe, L'Oreal etc. He has won several awards, including MUSE Creative Awards, American Graphic and Web Design Awards, The Very Best Of Ukrainian Design, A'design Award. Shashank is an established subject matter expert and currently serves as the principal architect at VERSA, providing technical leadership to engineering teams, designing complex and secure communication solutions over IP networks and implementing innovative IT solutions, for a number of US Federal Agencies like DOL and NIH. Consistently awarded for his exceptional work and contributions, he continues to serve in the government technology space using his diverse experience and expertise in enterprise architecture and collaboration technologies. He has previously served on Cisco’s SME panel providing technical leadership to global teams besides servicing global fortune 500 companies. He holds an active CCIE besides other industry certifications in technology and IT project management.